Posted February 20, 2014 by iwadmin & filed under Iboga Retreat, iboga treatment. The pineal gland, also known as the Third Eye or the Seat of the Soul, is a small gland inside your brain that secretes hormones like melatonin, serotonin and DMT (Dimethyltryptamine). It also contains rods and cones similar to the human eye. Melatonin and serotonin are responsible for sleep and meditative states, emotional states of well-being such as pleasure and euphoria. DMT effects range from time dilation and spiritual travel or journeying. Cleaning up the pineal gland is useful for those wishing to develop their multidimensional perception, for further spiritual exploration. Although there have not been any studies proving that iboga can de-calcify the pineal gland, Iboga is used as a tool to detoxify the body and mind. Iboga is a visionary plant medicine. An awakened third eye brings the ability to consciously speak with your soul for those that are ready to listen. It is said that when the pineal gland or third eye is awakened, one is able to see beyond space time into time space….even go to the beginning of time. You can see the truth for yourself, with your own eyes. It raises the frequency on which one operates and moves one into a higher consciousness. 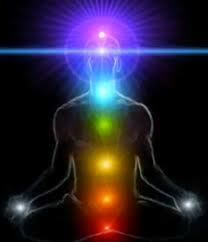 When you experience iboga, you will actually feel your vibration increasing. You will feel the “iboga buzz” in your body and hear it in your ears. While the physiological function of the pineal gland has been unknown until recent times, many traditions and shamans have long known this area to be the connecting link between the physical and spiritual worlds. The Bwiti from Gabon, Africa have used Iboga for hundreds of years to do just that. During an iboga journey, a person is given Iboga to enter the spiritual world where they can connect with ancestors, explore their own soul and see the beginning of time itself.